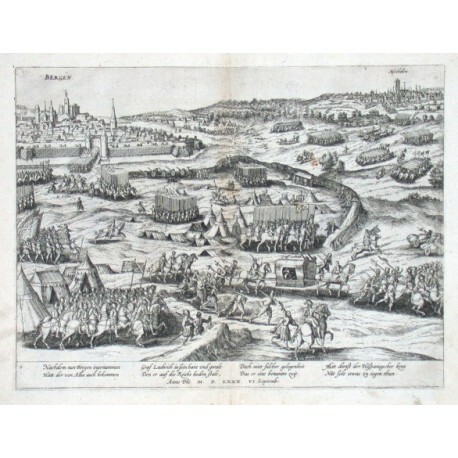 "Bergen-Mechelen". Copper-engraving (from A. Hogenberg's Geschichtsblätter), published ca. 1580. 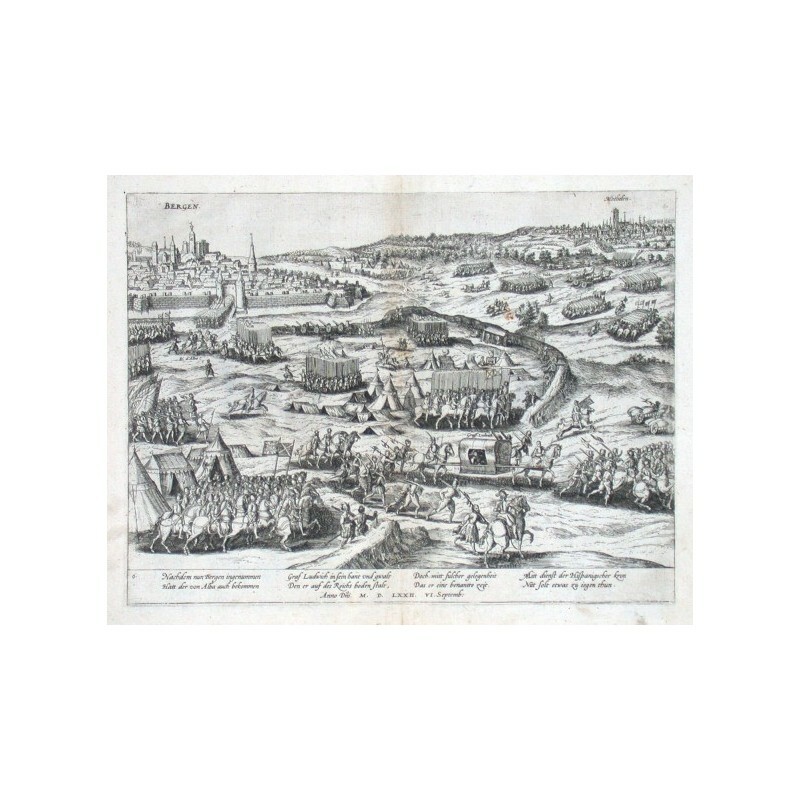 Shows the battle near "Bergen" and Mechelen in the year 1572 with the view of the cities. 21,5:28,5 cm.